Marvel's Agent Carter 2x04 "Smoke and Mirrors" - Agent Carter and the SSR learn there's more than just a pretty face behind Hollywood star Whitney Frost, Peggy's most dangerous foe yet, on “Marvel’s Agent Carter,” Tuesday, February 2nd on ABC. The 100 3x03 "Ye Who Enter Here" - Clarke (Eliza Taylor) wrestles with a decision. Bellamy (Bob Morley) learns that something isn't what it seems. Meanwhile, Murphy (Richard Harmon) plots to betray his former Chancellor (Isaiah Washington). Paige Turco, Henry Ian Cusack, Marie Avgeropoulos, Devon Bostick, Lindsey Morgan, Chris Larkin and Ricky Whittle also star. Antonio Negret directed the episode written by Kim Shumway (#303). Original airdate 2/4/2016. 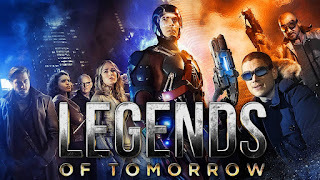 DC's Legends of Tomorrow 1x03 "Blood Ties" - Rip (Arthur Darvill) decides to weaken Vandal Savage (Casper Crump) by going after his financial assets. Rip and Sara (Caity Lotz) infiltrate Savage’s bank, but are discovered by his men. Meanwhile, Snart (Wentworth Miller) and Rory (Dominic Purcell) talk Jax (Franz Drameh) into taking the jump ship back to Central City so they can steal a valuable emerald. Professor Stein (Victor Garber) guides Ray (Brandon Routh) on a dangerous mission. Dermott Downs directed the episode written by Marc Guggenheim & Chris Fedak (#103). Original airdate 2/4/2016. New crimes, new cases, new episodes! All new episodes of Rizzoli and Isles return February 16th on TNT! Sleepy Hollow 3x09 "One Life" - Following Abbie's huge sacrifice, Crane and Jennie find themselves at a loss. In an effort to save Abbie, Crane forms and unlikely partnership and Jenny confronts a former foe. Tune in to the all-new 'One Life' winter premiere episode of SLEEPY HOLLOW airing Friday, February 5th on FOX. Arrow 4x12 "Unchained" - The team faces off against a formidable villain nicknamed The Calculator (guest star Tom Amandes). Meanwhile, Nyssa (guest star Katrina Law) makes her move and Roy Harper (guest star Colton Haynes) returns to Star City. Kevin Fair directed the episode written by Speed Weed & Beth Schwartz (#412). Original airdate 2/3/2016. Supernatural 11x12 "Don’t You Forget About Me" - Sam (Jared Padalecki) and Dean (Jensen Ackles) drop in on Jody Mills (guest star Kim Rhodes), Claire (guest star Kathryn Newton) and Alex (guest star Katherine Ramdine) after receiving a panicked phone call from Claire. 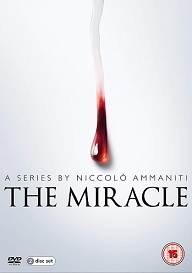 She believes the recent murders in town are supernatural and wants the boys’ help. However, Sheriff Mills tells Sam and Dean that Claire has been getting into trouble lately as she’s been attacking normal people and accusing them of being monsters. Stefan Pleszczynski directed the episode written by Nancy Won (#1112). Original airdate 2/3/2016. 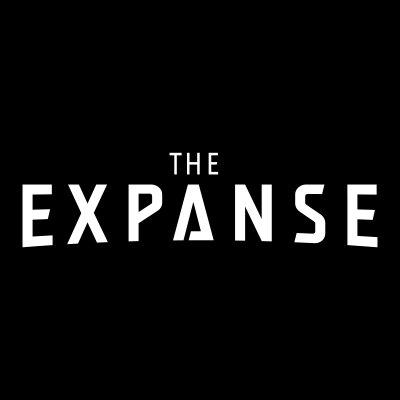 The Expanse 1x09 "Critical Mass" & 1x10 "Leviathan Wakes" (Season Finale) - A flashback to Julie's origin story reveals her trajectory. Meanwhile, Holden and Miller finally meet and team up to get to the bottom of the strange emergency situation happening on Eros. But they must overcome incredible odds if they hope to live to fight another day. Shadowhunters 1x04 "Raising Hell" - After getting a clue about who may have wiped Clary's memories, the crew hunts down the High Warlock of Brooklyn, Magnus Bane. With all of the warlocks in hiding from Valentine, the team must lure Magnus out with something he can't refuse - a killer party and something very valuable. But with emotions running high, more may come out of their meeting with Magnus than just the retrieval of Clary's memories. 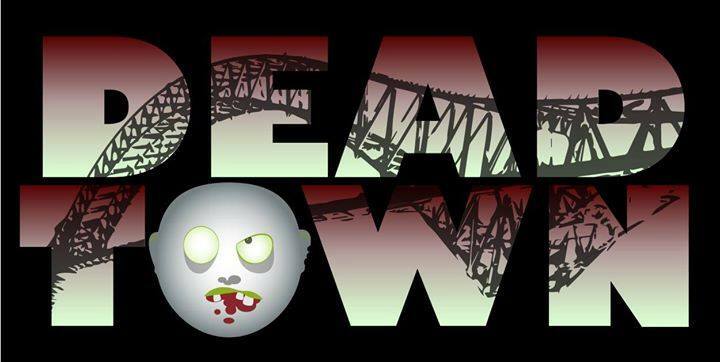 Meanwhile, Simon doesn't seem to be himself after his recent Downworlder encounter. The Flash 2x12 "Fast Lane" - Barry (Grant Gustin) teams up with Wells (Tom Cavanagh) to figure out a way to close the breaches, but they are distracted by a meta-human nicknamed Tar Pit (guest star Marco Grazzini) who can transform into liquid asphalt. Iris (Candice Patton) is concerned for Wally’s (Keiynan Lonsdale) safety after she finds out about his drag racing hobby. When he refuses to stop she makes a bold move that puts her in danger. Rachel Talalay directed the episode with story by Brooke Eikmeier and teleplay by Kai Yu Wu & Joe Peracchio (#212). Original airdate 2/2/2016. The Magicians 1x03 "Consequenes of Advanced Spellcasting" - Quentin and Julia have an unexpected, and somewhat volatile, reunion; Penny is overwhelmed by the power of his own psychic abilities; and Alice is willing to do anything to find out what happened to her missing brother. If she's in your head, you're already dead. Stitchers Season 2 premieres this Spring on Freeform, the new name for ABC Family. DC's Legends of Tomorrow 1x02 "Pilot, Part 2" - Tipped off to Vandal Savage’s (guest star Casper Crump) whereabouts, the team infiltrates a munitions deal with Professor Stein (Victor Garber) as their leader. Surrounded by some of the toughest criminals in the world, things quickly go from bad to worse when Savage realizes they don’t belong there. A massive fight ensues and a piece of the Atom’s (Brandon Routh) suit falls off and into the wrong hands, which could potentially cause disastrous consequences in the future. 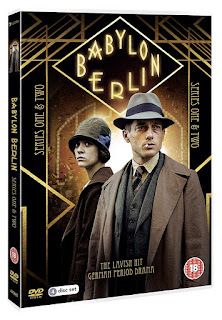 Stein realizes the best way to retrieve the missing piece is to contact a brilliant man – his younger self. He, Sara (Caity Lotz) and Jax (Franz Drameh) head off in search of young Martin Stein (guest star Graeme McComb), much to Rip’s (Arthur Darvill) consternation. Meanwhile, Snart (Wentworth Miller) and Rory (Dominic Purcell) plan to steal a key element in defeating Savage but still unsure of his new teammates, Ray (Brandon Routh) demands to come along on the mission. Carter (guest star Falk Hentschel) helps Kendra (Ciara Renée) remember something vital. Glen Winter directed the episode written by Phil Klemmer & Marc Guggenheim and Greg Berlanti & Andrew Kreisberg (#102). Original airdate 1/28/2016. The 100 3x02 "Wanheda - Part Two" - Bellamy (Bob Morley) and Kane (Henry Ian Cusick) risk life and limb to rescue Clarke (Eliza Taylor). In an attempt to avoid worrying about her daughter, Abby (Paige Turco) focuses on whether to open Mount Weather as a medical facility. Meanwhile, Murphy (Richard Harmon) plots to betray his former Chancellor (Isaiah Washington). Marie Avgeropoulos, Devon Bostick, Lindsey Morgan, Chris Larkin and Ricky Whittle also star. Mairzee Almas directed the episode written by Aaron Ginsburg & Wade McIntyre (#302). Original airdate 1/28/2016. Eliza Taylor teases new challenges for Clarke when The 100 premieres Thursday, January 21 at 9/8c on The CW. Ninety-seven years ago, nuclear Armageddon decimated planet Earth, destroying civilization. The only survivors were the 400 inhabitants of 12 international space stations. Resources are running out on their dying ”Ark” - the 12 stations now linked. Draconian measures are the order of the day, including secretly exiling a group of 100 juvenile prisoners to the Earth’s surface to test whether it’s habitable. For the first time in nearly a century, humans have returned to planet Earth. 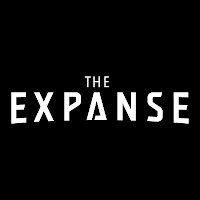 The series stars Eliza Taylor (newcomer) as Clarke, Paige Turco (“Person of Interest,” “Damages”) as Abby, Thomas McDonell (“Suburgatory”) as Finn, Eli Goree (“Emily Owens, M.D.”) as Wells, Marie Avgeropoulos (“50/50“) as Octavia, Bob Morley (newcomer) as Bellamy, Kelly Hu (“X2: X-Men United,” “Arrow”) as Cece, Christopher Larkin (“Squad 85”) as Monty, Devon Bostick (“Aim High”) as Jasper, with Isaiah Washington (upcoming “Blue Caprice,” “Grey’s Anatomy”) as Chancellor Jaha, and Henry Ian Cusick (“Lost,” “Scandal”) as Kane. It will take a team of 8 outcasts to become DC’s Legends of Tomorrow, premiering Thursday at 8/7c on The CW! See if Sammy can hold the devil at bay when Supernatural returns with new episodes, Wednesday at 9/8c! Sam (Jared Padalecki) and Dean (Jensen Ackles) have spent the last eight years battling the things that go bump in the night. Over the years, and occasionally alongside the fallen angel Castiel (Misha Collins), and the King of Hell, Crowley (Mark A. Sheppard), the Winchesters have straddled the line between good and evil. 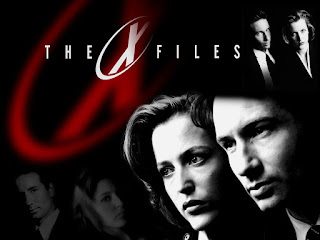 The X-Files have been reopened and Scully and Mulder are back on the case. THE X-FILES returns JAN 24 for a 6-episode event. The only way forward, is to go back. Orphan Black premieres this April! The good and the bad team up to become DC’s Legends of Tomorrow, premiering Thursday, January 21st on The CW! The new face of terror is not from this world. Hunters premieres April 11th at 10PM ET on Syfy. 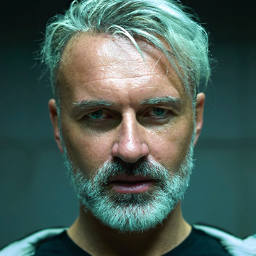 Hunters will push boundaries by redefining what makes a terrorist and offer a unique crossover twist between gritty crime drama and sci-fi thriller. From his first appearance in 1941 through the 75 years that would follow, Captain America has been one of--if not the most--influential comic book characters ever to be created. Take a look back at the history of this beloved Marvel character and see how his influence continues to have impact today in the original special, “Marvel’s Captain America: 75 Heroic Years,” airing Tuesday, January 19th on ABC. Heroes Reborn 1x13 "Project Reborn" (Series Finale) - As the clock counts down to the end of the world, Tommy (Robbie Kay) finds himself up against his biggest challenge yet as Erica (Rya Khilstedt) takes drastic measures to see her plan succeed. Malina (Danika Yarosh) tries to fulfill her great-grandmother's prophecy to save the world with the help of Luke (Zachary Levi) and Quentin (Henry Zebrowski). Meanwhile, Emily (Gatlin Green) and Ren (guest star Toru Uchikado) desperately search for Miko (Kiki Sukezane). Elsewhere, Carlos (Ryan Guzman) is faced with a life and death choice. Toru Uchikado, Hiro Kanagawa, Krista Bridges, Aislinn Paul, Nazneen Contractor and Lucius Hoyos guest star. 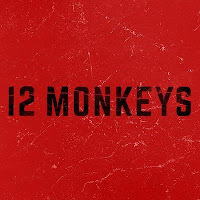 Set your DVR's now - now is your second chance to catch up on 12 Monkeys first season before Season 2 premieres in April. 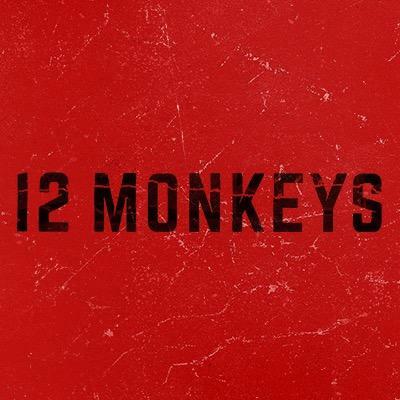 Catch up on 12 Monkeys, Tuesdays at 11pm after The Expanse! Heroes Reborn 1x12 "Company Woman" - With the end of civilization quickly approaching, Erica (Rya Khilstedt) sets her startling survival plan in motion with the help of Tommy (Robbie Kay). Malina (Danika Yarosh) races to unite with Tommy and is joined by Luke (Zachary Levi) while Quentin (Henry Zebrowski) and Phoebe (guest star Aislinn Paul) plot against them. Meanwhile, Matt Parkman (guest star Greg Grunberg) has plans of his own to ensure the safety of his family that might put Taylor (guest star Eve Harlow) in mortal danger. Ryan Guzman, Judi Shekoni and Gatlin Green also star. Lucius Hoyos, Nazneen Contractor, Krista Bridges, Toru Uchikado and Hiro Kanagawa also guest star. Opposites attract to become Firestorm when DC’s Legends of Tomorrow premieres Thursday, January 21 on The CW! DC's Legends of Tomorrow gets groovy on the series premiere, January 21 on The CW! War wages in The 100 Season 3 premiere, Thursday, January 21st on The CW! Heat Wave is ready to burn the house down on the series premiere of DC's Legends of Tomorrow, Thursday, January 21st on The CW! 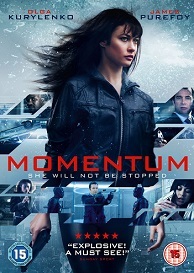 Momentum will be released on DVD on the 18th January and to celebrate we have a great competition for you, up for grabs for the winner is an exclusive signed poster and a DVD of the film, and a further 2 DVDs for runner ups! In this slick action-packed thriller, beautiful and feisty thief, Alex Faraday, (Olga Kurylenko), is recruited to pull one last diamond heist before she can leave the game forever. But when the deal goes wrong and Alex witnesses a brutal murder involving a senator (Morgan Freeman), she must run for her life. Pursued by the ruthless and cold Mr Washington (James Purefoy), Alex finds herself at the heart of something far bigger than she could have ever imagined. While assassins begin to close in on her in a deadly game of cat and mouse, Alex starts to uncover a tangle of lies that lead her to question everything she thought she once knew. The Mysteries of Laura 2x09 "The Mystery of the Triple Threat" - Laura (Debra Messing) and the team delve into an Urban Treasure Hunt and track a killer from the gritty rooftops of New York to the opulent halls of the symphony. Along the way, Laura is forced to consider new configurations of modern love. Also starring Josh Lucas, Laz Alonso, Janina Gavankar, Max Jenkins and Callie Thorne. 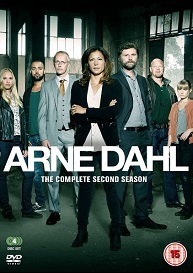 Arne Dahl s A Unit has been disbanded for the last two years. When a wave of brutal murders hits Polish nurses in Sweden, the National Police see their chance to instate the unit again. Kerstin Holm, (Malin Arvidsson) previously a member of the A Unit, is assigned to lead them. The A Units official role in the police force is to investigate complex, violent crimes with international connections. Kerstin builds her team with former members of the unit Nyberg, Chavez, Svenhagen and So derstedt, but she is assigned a new recruit as well, somewhat reluctantly - Ida Jankowicz, a wiry, yet powerful, rookie with exceptional language skills. Paul Hjelm, previously a key figure in the A Unit, has been promoted to a job as head of Internal Affairs. At first, he and the A Unit are pretty far removed from each other, but their paths will cross sooner than any of them could imagine. We meet a chastened unit of individuals who have allowed the all consuming nature of their police work to eat away at their private lives. Demands and expectations have never been higher and a cold wind blows through the corridors at the National Police headquarters. 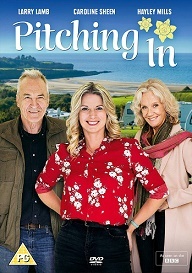 Can Kerstin get the unit to deliver or is this new effort a misguided attempt by a paranoid police force in a time of increasingly unusual and refined criminal activity? An epic biblical saga of faith, ambition and betrayal as told through the eyes of the battle-weary King Saul, the resentful prophet Samuel and the resourceful young shepherd David -- all on a collision course with destiny that will change the world. Premieres Tuesday March 8th on ABC!